Take a look on board Costa Victoria – the design ship – with these photos and webcam images. It’s an exclusive blend of the abstract and construction craftsmanship, with interiors of restrained elegance embellished with exquisite details and works of art. 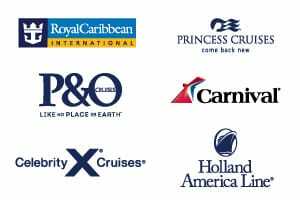 View all Costa Victoria cruises or view more options for Costa cruises. Come aboard the Victoria and allow our brilliant chefs to introduce you to a whole new world of dining. You’re bound to become acquainted with a couple new favorites and reacquainted with your old favorites. Just the aroma alone is bound to make your mouth water with hunger and the taste will give you a feeling of sweet ecstasy. Whether you’re in the mood for an exquisite restaurant or the advantages of a buffet, the Victoria is equip with both. If you are in need of a late night or early morning nibble, feel free to contact the 24-Hour Room Service. Even the younger cruisers will have their very own Pizzeria filled with every food their hearts will desire. Day or night, you’ll never be bored on a Costa cruise: outdoor pools, shopping galleries, shows, entertainment for grown-ups and kids, a disco and a casino. Just a few of the fun things to do on board. 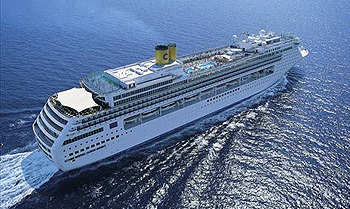 On board Costa Victoria (1996) – the work of Studio Gregotti Associati (Pierluigi Cerri and Ivana Porfiri) and the Swedish architect Robert Tillberg – you’ll find glass mosaics designed by Emilio Tadini. You and yours are invited to join the crew of Costa’s Victoria and have the time of your lives. 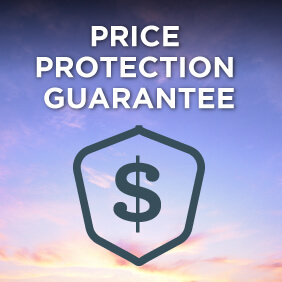 We guarantee you’ll enjoy every single minute of your cruise. In the night air you’ll hear the enchanting sounds of music mixed with the exciting sounds of the interaction of people finding new friends and getting reacquainted with old friends. If you’re in the mood for a little late night dancing, make your way to the Disco. If you have a craving for a little risky excitement, you’ll find out Casino exactly what you were dreaming of. If you’re looking for the ideal sailing experience filled with more activity options than you’ll be able to take advantage of in one cruise, Costa’s Victoria would be the perfect ship for you. Our activities cover everything from Duty free shopping in boutiques to maxing and relaxing in a Sauna. No matter how you plan on spending your cruise, this ship is equipped to assist you in achieve it. For the little ones, there will be a Children’s Room designed to keep them busy while you enjoy yourself.